The user growls in an endearing way, making opposing Pokémon less wary. This lowers their Attack stats. The user releases an obscuring cloud of smoke or ink. This lowers the target’s accuracy. The user attacks the target at full power. The attack’s recoil harshly lowers the user’s Sp. Atk stat. The target is cut with a scythe or claw. This can also be used to cut down thin trees. The user attacks with a prehistoric power. This may also raise all the user’s stats at once. The user crunches up the target with sharp fangs. This may also lower the target’s Defense stat. 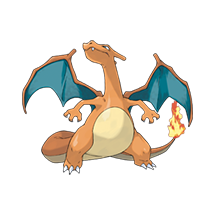 The user vigorously performs a mystic, powerful dance that raises its Attack and Speed stats. The user tackles the target while exhibiting overwhelming menace. This may also make the target flinch. The target is raked with steel claws. This may also raise the user’s Attack stat. A column of fire hits the target. 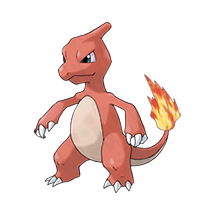 When used with its grass equivalent, its damage increases and a vast sea of fire appears. 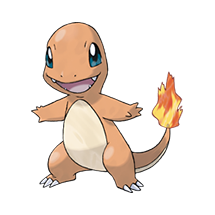 What do think about Charmander?